Alfalfa Valley Farms uses ten separate GrowSpan Series 500 Greenhouses for their cannabis grow. Each structure sits at 30’ wide by 96’ long, meaning they utilize almost 30,000 sq. ft. of controlled growing environment. The greenhouses provide a controlled growing environment to shelter their crop from the unpredictable Oregon weather. Watch the video below to learn more about Alfalfa Valley Farms and their cannabis greenhouses. GrowSpan is happy to support growers at every stage in their business journey, offering the versatility they need to expand and increase square footage over time. Initially, Alfalfa Valley Farms purchased seven greenhouses to accommodate their business needs at the time. After producing almost 2,000 pounds of cannabis, they recognized their potential to grow even further. They proceeded to purchase three more Series 500 Greenhouses and chose to outfit all ten growing structures with a blackout system for complete control over control the flowering cycle. 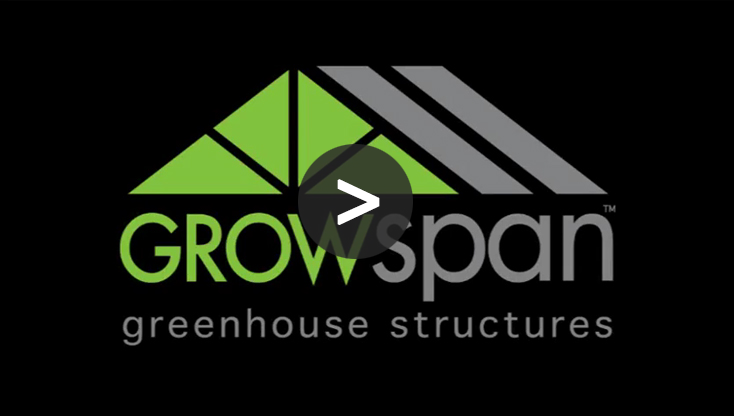 GrowSpan’s commercial line offers a greenhouse for every growing business. The Series 500, Series 1000, Series 2000 and full line of Venlo Greenhouses create the ideal opportunity for businesses to obtain as much space as they need with complete environmental control, no matter what crops they grow. Customers can opt for multiple smaller structures or utilize the handy greenhouse gutter connect feature to expand their existing GrowSpan structure to greater sizes. Request a quote now to learn more about GrowSpan’s commercial greenhouses.